Who would've thought that the biggest movies of all time worked under titles like "Wimpy," "Planet Ice," and "Group Hug"? By the time the third installment of the original Star Wars trilogy began production, the hype was high. George Lucas wanted to be able to work on the film without attracting swarms of curious fans or reporters who might spread spoilers. So he gave Episode VI an unexceptional working title: Blue Harvest. 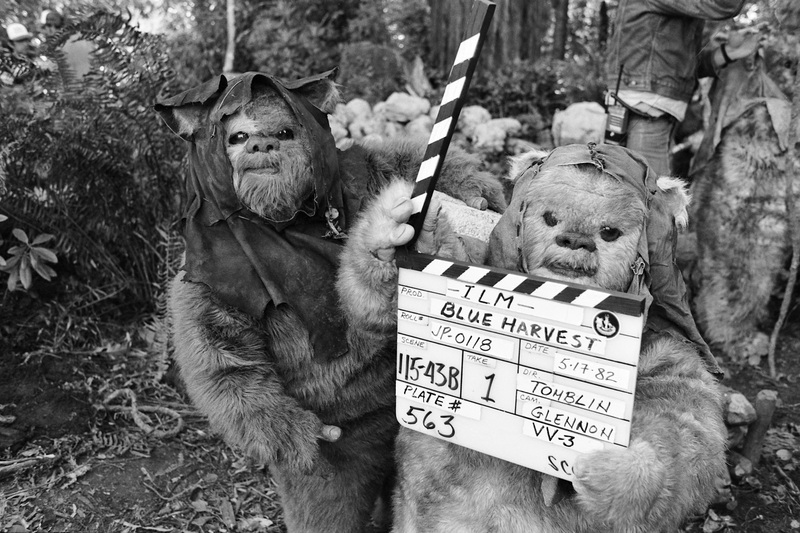 He even came up with a tagline for his fake movie to really throw people off: “Horror beyond imagination.” And there’s even a behind-the-scenes set photo of an Ewok holding a clapperboard labeled “Blue Harvest.” Secrecy at its finest. Bonus: Blue Harvest actually wasn’t Return of the Jedi‘s only working title. The film was originally going to be called Revenge of the Jedi, until George Lucas decided that the concept of revenge didn’t suit the peaceful Jedi way. We bet you didn’t know these mind-blowing facts about Star Wars either. Considering the fate of the Titanic, this working title might seem a little too on the nose. While making the second highest-grossing movie of all time, James Cameron wanted to throw other film studios off of his trail. When he had to shoot a scene off the coast of Nova Scotia featuring lots of icebergs, keeping this, well, titanic secret became a bit more challenging. So he claimed that his project was a science fiction movie called Planet Ice. See if you can guess the highest-grossing movie the year you were born.